Home Insurance quotes from InsuranceLevel. 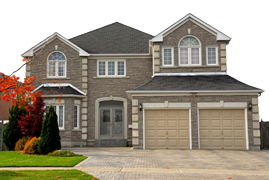 Compare the top home insurance companies with a simple form. Fast quotes where agents compete. Looking for the lowest rate for your home, condo, or renters insurance? Get started with your home insurance quote comparison from multiple agents and insurance companies who are competing to earn your business. Our fast and simple quote form is built to ensure that our agents are able to provide an accurate quote for your home insurance coverage. When requesting insurance quotes for home, condo or renters insurance coverage, you should allow your agent to review your coverage amount and make a coverage recommendation based upon their evaluation of your needs. Shortly after you submit your request, you will receive information, and quotations, from insurance agents representing most of the top homeowner and property insurance companies. Vacant Dwelling Coverage. Hello! Anyone Home? Insurance companies presenting home insurance quotes varies from state to state.